Genuine Fender USA quality for € 0,42 a piece. Last picks on stock. 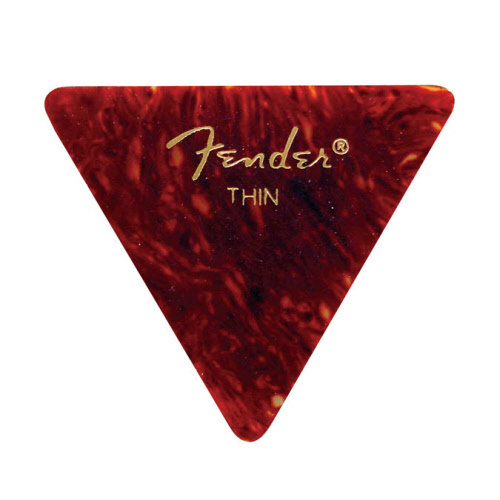 Fender Triangle are not longer available in our shop soon. The Triangle brother of the standard. Three sides and big. Material: celluloid. Size: thin. Color: tortoise. 12 pieces on sale for € 7,95. Last in stock! Material: celluloid. Size: medium. Color: tortoise.